Office Star chairs are leading the industry in innovative design. These office chairs bring together the best in seating ergonomics and contemporary style. These chairs come in more than 100 models in a wide array of styles and materials, from plush leather to breathable mesh, and are the perfect complement to Panel Systems Unlimited’s outstanding selection of new and used office cubicles. Combine your purchase of new Open Plan Systems cubicles or used Herman Miller office furniture workstations with exceptional Office Star chairs. When your employees are seated at their new cubicles in their Office Star chair, they will be more comfortable than ever. With the emphasis on ergonomics they will be less likely to develop the common aches and pains associated with inadequate seating. This keeps employees out of the doctor’s office and working more efficiently at their workstation. Office Star seating also comes backed by an outstanding limited lifetime warranty. 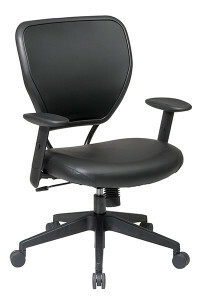 Panel Systems Unlimited is a full-service wholesale cubicle company, and we are proud to offer these top-brand office chairs to our customers along with our selection of new, used, and remanufactured workstations and cubicles, and our unbeatable space planning, installation, and furniture liquidation services.